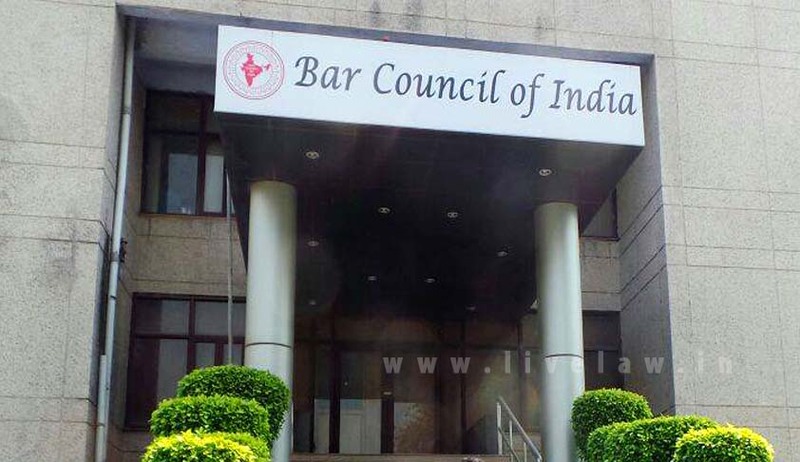 The Bar Council of India has reportedly directed all State Bar Councils to enroll fresh law graduates only after verifying all educational certificates, including Class 10, Senior Secondary, Graduation, if any, and the LL.B. degree certificates. The State Bar Councils have been directed to send photo copies of the certificates to the concerned Board/Universities for verification, within five days of receiving them. The educational agencies would then be required to respond to such application within 10 days, after which enrollment would be possible. In case the education agency fails to respond to a request for verification within 20 days, a provisional enrollment certification would be issued to the candidates. This certificate would be valid for a period of six months. The Circular requires candidates to remit a fee of Rs. 2,500 for the verification. The BCI has, further, directed the State Councils to write to the University Grants Commission and the Vice Chancellors of the Universities, to take action against erring officers, in case educational agencies fail to respond to a request for verification.